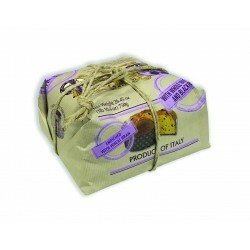 Panettone filled with Prosecco D.O.C wine and raisins and without candied citrus fruit. This is the last delight created by our pastry masters. 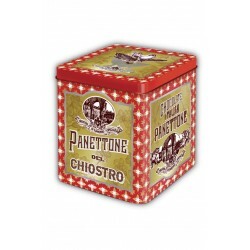 Panettone with Prosecco D.O.C. is the perfect blend of tradition and modernity. wheat flour, sultanas 19%, butter (milk), fresh eggs, sugar, Prosecco D.O.C. wine 6%, fresh egg yolk, milk, natural yeast (wheat), emulsifier: mono and diglycerides of fatty acids, glucose syrup, flavours, cocoa butter, salt.